Our trailers are equipped with dual axles and provide the option for transporting equipment up to 9,000lbs. 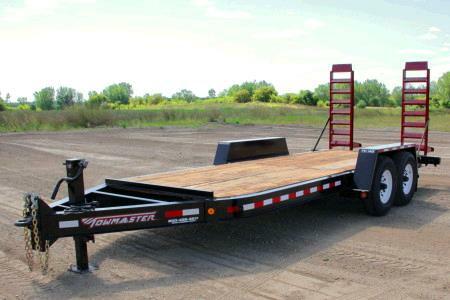 We rent a 6'x12' Towmaster with wooden deck and ladder ramps, and a 6'x20' wooden deck with ladder ramps. We require a 3/4 ton truck or better to tow one of these trailers loaded with equipment. * Please call us for any questions on our dual axle heavy equipment trailer rentals in Toledo OH and Perrysburg OH, serving the Toledo metro area.